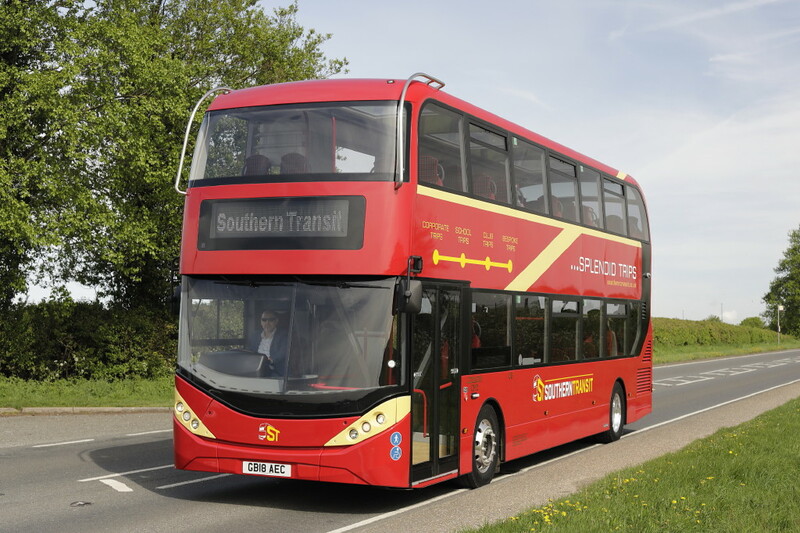 Southern Transit, a unique transport business based in West Sussex and famed for its diverse mix of iconic and new-generation vehicles, has taken a giant step into the future with the introduction of two state-of-the-art Enviro400 City buses from Alexander Dennis Limited (ADL). 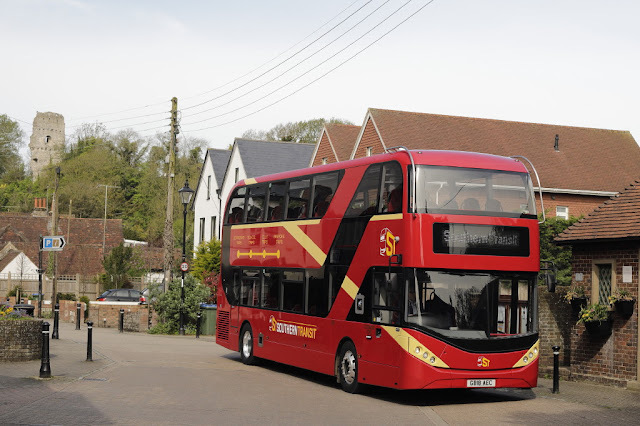  Wi-Fi and USB charging points at all 72 passenger seats.  Glazed stairwells with illuminated glass.  LED lights at staircase steps.  Panoramic windows and sky view glazing on the upper deck.  High back seats with three-point safety belts.  A London Routemaster tartan trim on all seats.  Four centrally located meeting tables on the upper deck.  No seat-to-roof hand poles on the upper deck, creating clear lines of vision. These are replaced with hand grips built into the seat backs.  Wireless bell pushes.  Under-seat lighting.  Passenger information systems linked to 19” screens.  Two-tone wood effect flooring throughout.  Disabled access, wheelchair space and vehicle lowering system. Mark Lyons has kindly provided a further set of pictures to illustrate the vehicles both outside and in. Note the nod to earlier bus production in the registration marks.